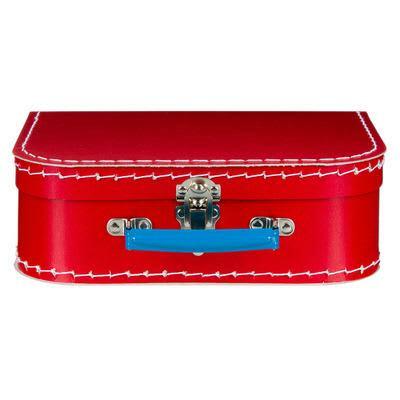 Child's suitcase for storage or play by Mechato. Kids love to fill these with treasures and treats! Perfect for packing a limited number of toys for a trip or holiday. Also look fantastic stacked on nursery or playroom shelves, filled with keepsakes and cards.